Two years ago to this very day I ran my first 5k. 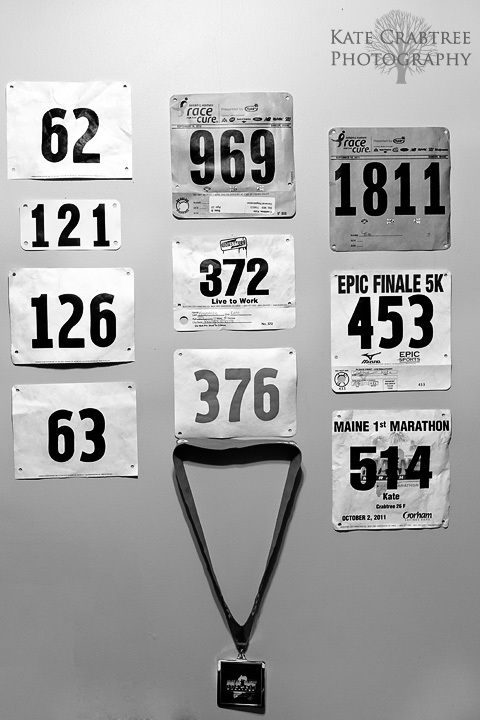 Prior to beginning to run in late 2009, I wasn’t fit, nor had I ever been since childhood. Sure, I was fit when I was a gymnast in elementary school, and I was fit to a degree when I was a springboard diver (well, I was incredibly flexible and had good balance– does that count?) but there had never been a time where I could run more than a mile in my life. Heck, I’m pretty sure during most of my adult life I would have had a hard time running a half mile without stopping and wanting to die. I knew a few people who were runners, and who had even completed marathons, but I always read their Facebook statuses and blog posts and thought simultaneously “she just happens to have the right body to be able to do that– clearly I’m not meant to run” and “I… I think I kind of want to be like her.” I tried to give myself permission to not be a runner, that I just wasn’t cut out for such vigorous exercise (I’d always been partial to pilates, which always felt nice and easy because of my natural flexibility). But that just felt like a really, really lazy thing to believe, even though I had tried the Couch to 5k program before and failed. So I tried it again. This time, I slowed down my running speed. In the beginning, my jogging speed felt like I was wading in cement, but before I knew it I was building up my running time and then finally running 30 minutes at a time. And my speed gradually improved. The day I ran a full 30 minutes in a row felt like a revelation. It felt like I had done something significant. Something that would change my life. I was more excited than nervous at that race two years ago. I felt like such a newbie amongst several hundred runners, most who looked seasoned and totally capable of running the race far faster than I. But that didn’t matter– I felt such joy running the event, even though I wasn’t near the front. I was excited to be with so many people who just wanted to run, who wanted that runner’s high that really can’t be compared to anything else. And even though it was hard, and even though I had only run that far once in my life, it was an amazing experience and the excitement I felt at being able to move my body so far in a relatively fast amount of time was huge. Today, I ran the same race. It was a gorgeous day, and even though I knew I wouldn’t be super speedy (I haven’t trained very hard during the winter), I knew I’d love it. And that’s why I did it– not because I thought I’d place, or get a new personal record (although these are great things that I appreciate), but the main reason why I ran the race today was because I love it. We all need to have something in our life that inspires us, that pushes us to keep going during the bad days. A great run clears my mind and makes everything okay. So does a great photo shoot. I choose to choose the things I do with my life deliberately, and so far I can say that, yes, it does make a difference. That, folks, is why I run and why I am a photographer.